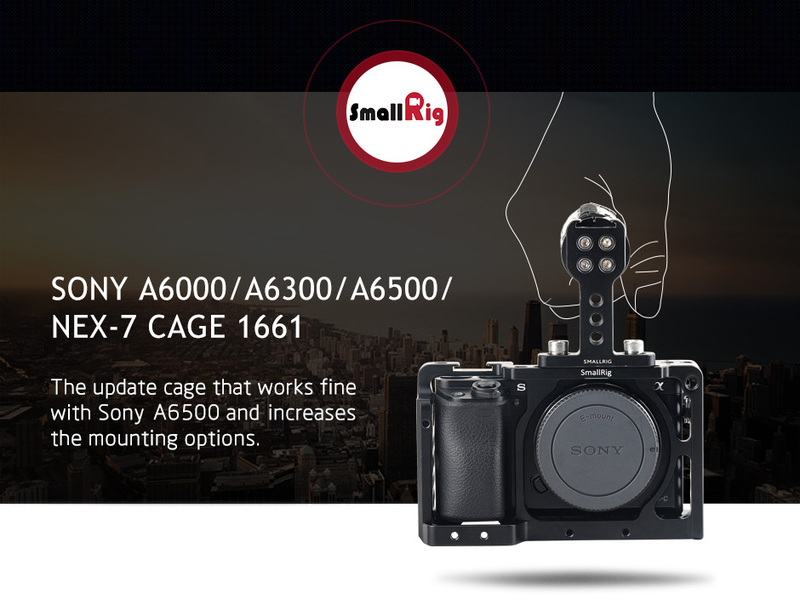 SmallRig Sony A6000/A6300/A6500 ILCE-6000/ILCE-6300/ILCE-A6500/Nex-7 Cage 1661 is a formfitting aluminum exoskeleton that protects your camera and offers mounting options to attach accessories. 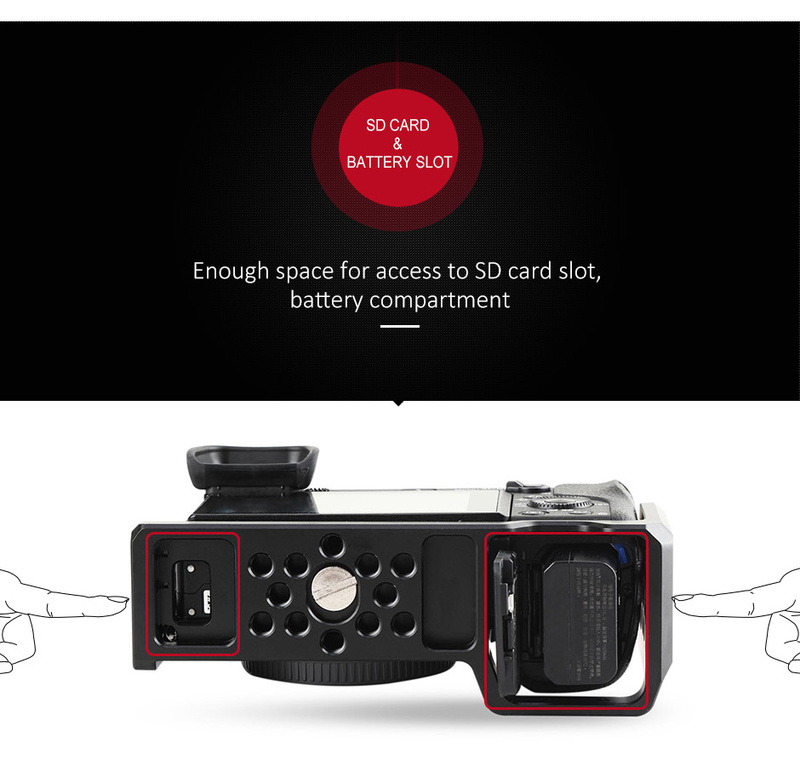 With the camera in the cage, you still have access to the SD card slot, battery compartment, and all camera controls. The built-in shoe mount is used to connect light accessories, such as microphone, EVF mount and more. 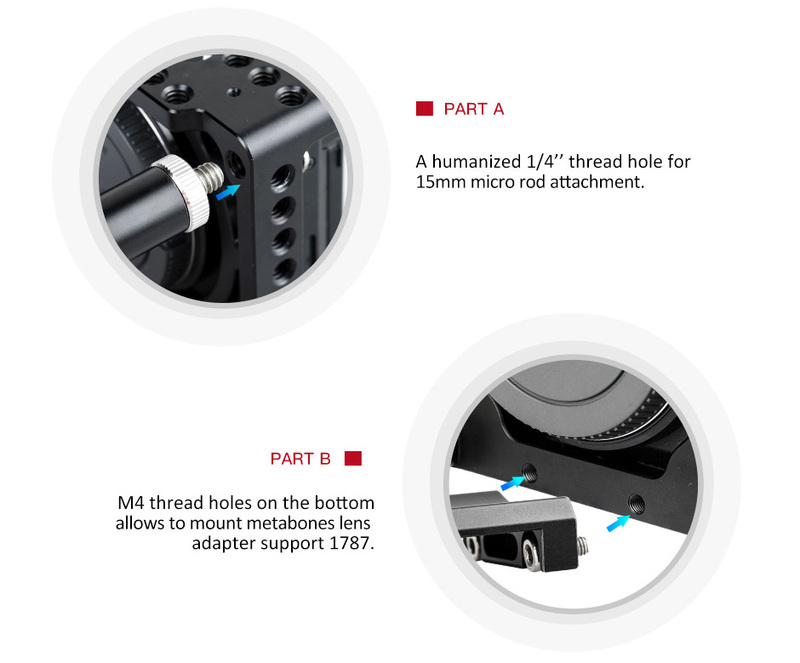 A 1/4’’-20 threaded hole at the front enables it to attach to 15mm Micro Rod with 1/4'' Thread 915 for follow focus. For handheld shoot, adding a top handle is a good choice. 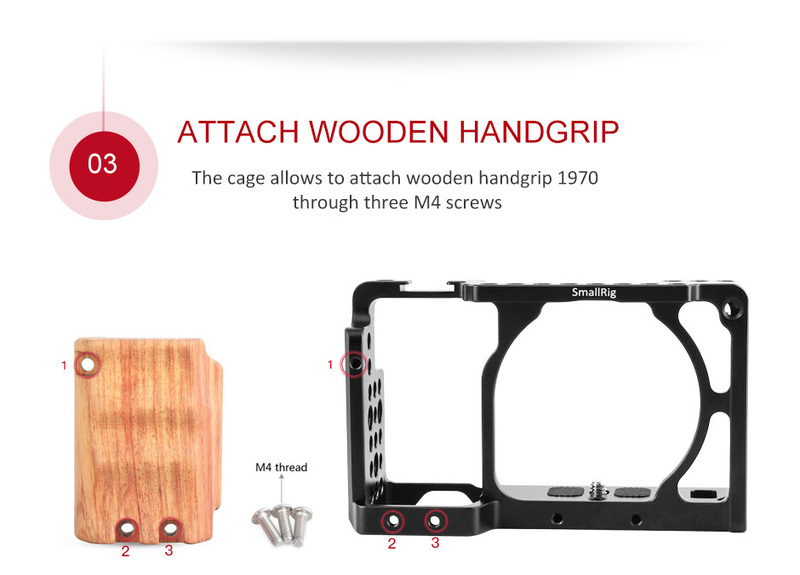 This cage is also compatible with Sony A6500 Wooden Handgrip 1970. It enables it to mount HDMI Cable Clamp 1822 to protect HDMI port. Besides, you can purchase Metabones Lens Adapter Support 1787 to protect lens port due to the long and heavy lens pressure. The front of the cage is designed for anti-twisting and excellent heat dissipation, beneficial for more enjoyable shoot. 5 based on 6 reviews. The cage is really amazing and fits my Sony A6000 camera perfectly. When the camera is mounted inside, the cage does not ports and buttons of camera. All over the surface are threaded holes for external accessories according to my needs. 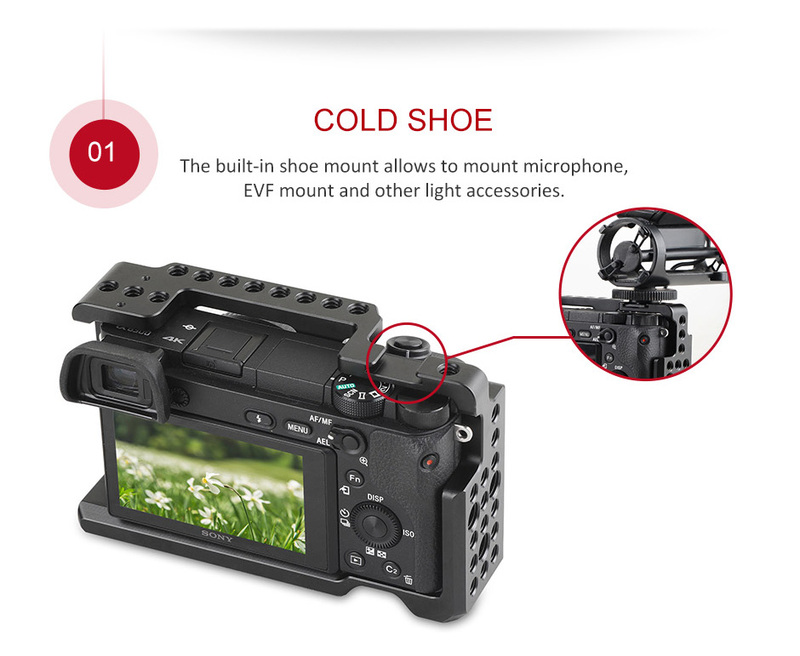 The built-in cold shoe could be mounted with magic arm for monitor, therefore we could have better shooting due to the monitoring. I purchased this cage based on its ability to provide more utility around my camera. While doing this it also brings a more professional look to these smaller mirrorless cameras. Though a very niche use; when using such a small camera on a glide came they become hard to balance because of lack of weight, and th cage definitely helps reduce this problem. Overall very happy with my purchase and the quality that is produced by the company. love this cage- happy with my purchase. 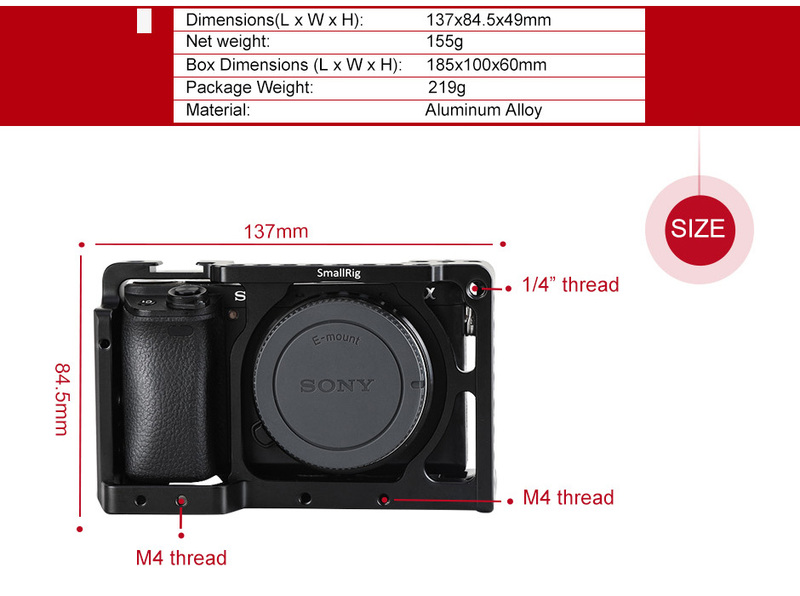 The updated 1661 cage fits the sony a6500 and you will have access to your battery door- the only issue is your top C1 and C2 buttons are partially blocked ... you can still access them with the top of your non grip hand but can't access in same hand as grip as buttons are partially covered. 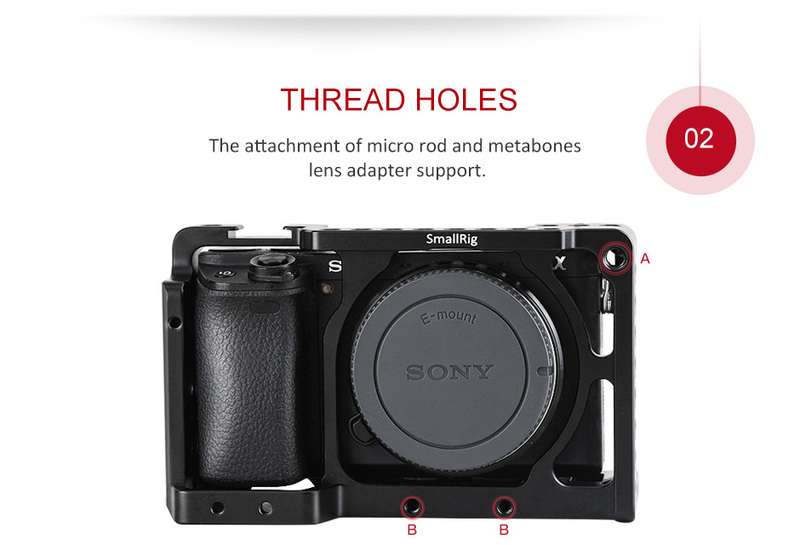 This is by far one of the most endorced cages for the A6000 Series. I think it looks pretty cool and is quite handy. The only annoying thing is that the custom buttons on the top of the A6500 are almost impossible to access with this cage on, which I was a little disappointed about. So really it's a 4 star review but I didn't want to hurt the rating of this product. Besides that, it was a great deal ordering straight from this site saved almost double the price vs. Amazon. The only thing was that the shipping took a lot longer, but I could deal with that. Thanks again. Love this and think it's a great purchase. Ample space for all the ports I need to get to. The shoe mount on the top was nice, I use a Rode Link and the receiver sits on the top usually so nice to have the space for it. It does what I need it to. Definitely recommend.